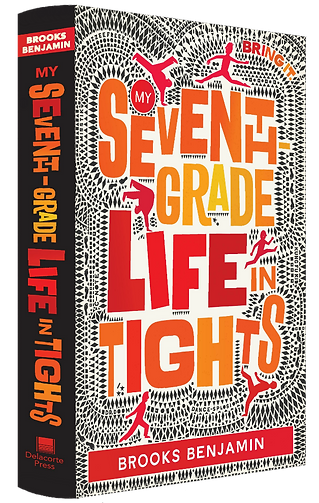 Author Brooks Benjamin emailed me the book trailer for My Seventh-Grade Life in Tights and finished my sentences a few days ago. It was very hard not to share the book trailer immediately. It is A-W-E-S-O-M-E! I hope you love it as much as I do. The book trailer for My Seventh-Grade Life in Tights was directed by my friend, Bill Cornelius, and he absolutely nailed it. How he was able to capture the humor and the heart so perfectly in so few shots absolutely blows my mind. I'll admit, I've watched it a million times and it keeps getting better. And that music! It's 100% pure Dizzee Freekz energy. So good! Did you know Dillon has a completely made up dance style? He came up with "ninja freestyling" by combining some green-belt level karate kicks and punches, all the kung-fu moves he's learned from his favorite films, and some pretty failtastic dance techniques that he hopes to improve on. two of my literary heroes. In fact, they're two of my life heroes, too, because not only are they phenomenal writers, they're two of the most brilliant and genuinely pleasant people I've ever spoken with. Reading is existing. Whether it's here and now or whether it's in another time or place, reading takes us there, makes us something new. Reading frees us, embraces us, and gives us a reason to grow, to remember, to love, and to hope. 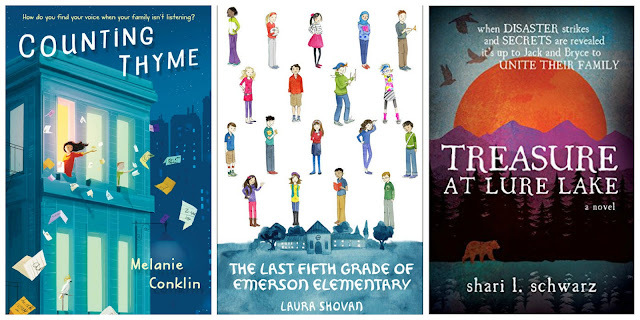 On April 12, 2016, the world will celebrate Beverly Cleary's 100th birthday, they will fall in love with some other incredible debuts such as Counting Thyme, The Last Fifth Grade of Emerson Elementary, Treasure at Lure Lake, and they will join Dillon and the Dizzee Freekz in introducing the world to their dance-tastic awesomeness! Mr. Schu, you should have asked me what your crew name would be if you were on the Dizzee Freekz! Well, that's easy. You'd be Dewey Decimaster and you'd dance old-school breaking. Look for My Seventh-Grade Life in Tights on April 12. 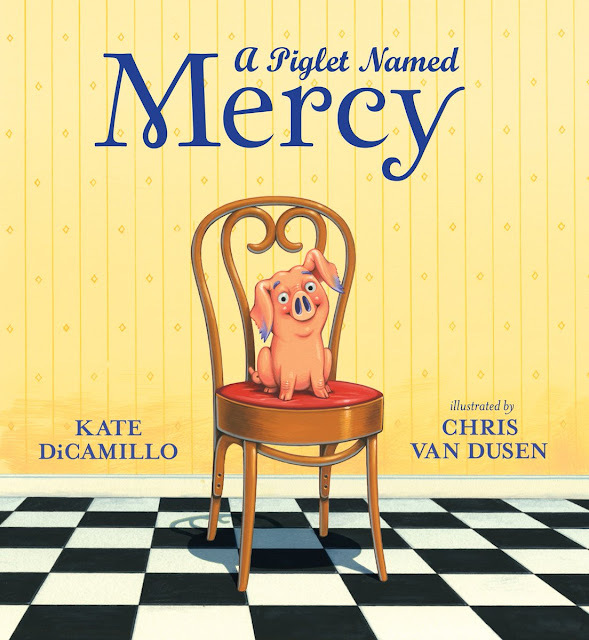 I love this book trailer and it makes me even more excited about this book! I was fortunate to get an opportunity to read Counting Thymr already and it is wonderful, but I cannot wait to read Brooks', as well as Laura's and Shari's! Thanks for sharing this with us, Mr. Schu! Awesome trailer, and I absolutely loved watching the opening of the ARCs (hmm...that makes it sound like Brooks' name should be Noah, but I'm not going to revise my sentence because I'm saving all my revision powers for my WIP). So excited for this book and all the other Book Awesome coming next month!! Ha! Love the trailer! Can't wait to read this book. I'm sure it will be LOL fun. I've read Laura's and Melanie--both amazing on so many levels. I have no doubt that Brooks' story will be a delight as well. Thanks for sharing! It's a rare book trailer that looks so professional, gives a taste of the tone of the book, and is just the right length--congratulations! I finally watched your trailer (and I smiled the whole time!) and oooooh, that incredible arc-opening moment. LOVE LOVE! So proud of you! !